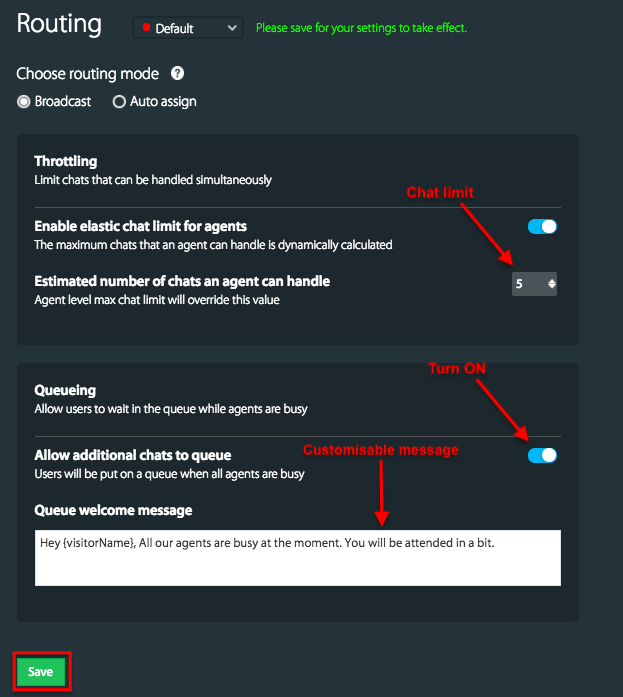 If all your agents reached their maximum chat limit, you can show a auto-waiting message to your customers in the chat window using the queueing option. This waiting message can be customised. 2. 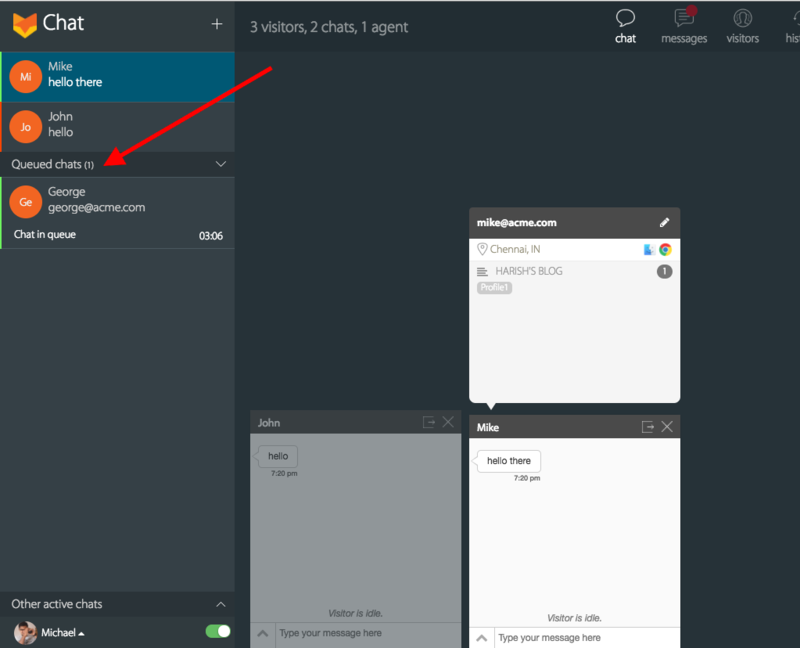 Go to Manage >> Routing (You can be on any routing mode - Broadcast or Auto assign). NOTE: You must set maximum chat limit for agents. 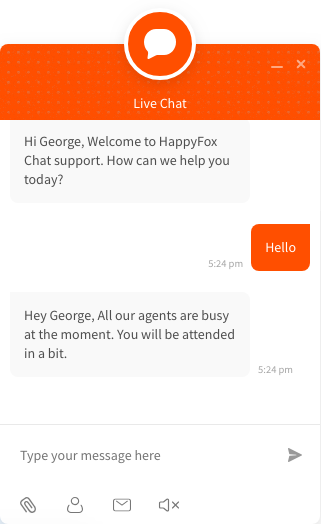 Let's consider your agents are handling 4-5 chats simultaneously. 3. 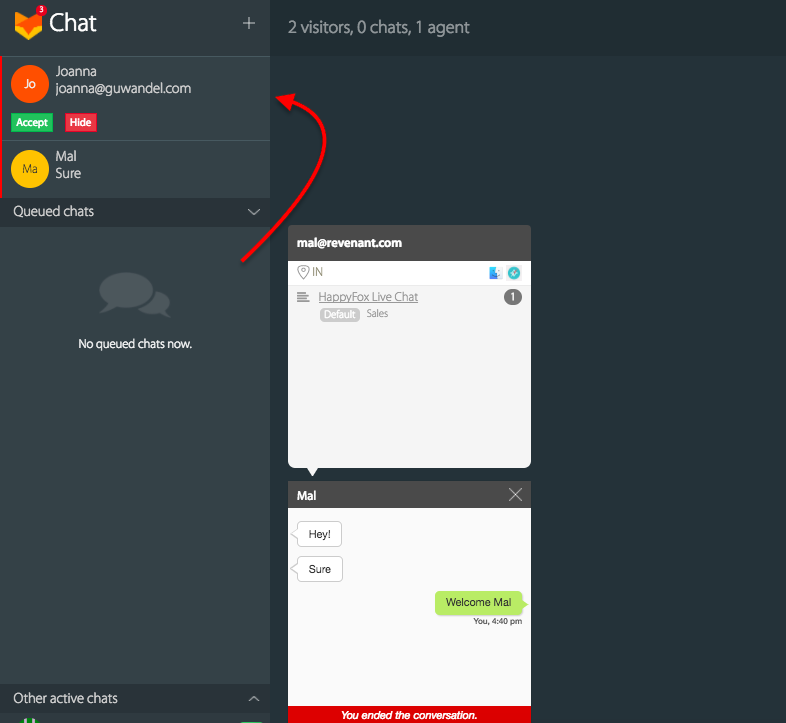 Under Queueing, turn on the option "Allow additional chats to queue". 4. Edit/customise the waiting message >> click "Save".